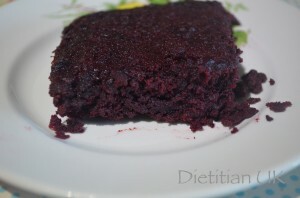 Healthier Chocolate Beetroot Brownies: wheat free, gluten free. I love a chocolate brownie, who doesn’t? But they so often just don’t agree with me. Due to having Crohns diease I have to e wheat free and I can’t tolerate too much fat. For ages I have been meaning to play around with making a lighter, healthier, wheat free version of a brownie. Finally, one Friday night, after teaching Pilates and doing ballet, I had the moment I needed. That chocolately, cakey craving. Now I like beetroot, but only in small quantities. This is definitely a good way to use beetroot if you grow your own or get a glut given to you. In fact it may be the best way to cook with beetroot 😉 It really is surprisingly nice. I may even have to grow beetroot next year just to make it again. 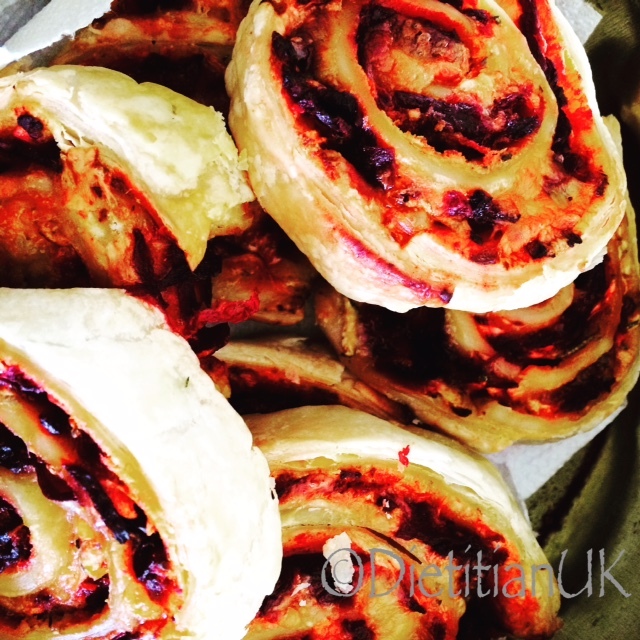 Any other good beetroot recipes, please do share. Simple beetroot chocolate brownies, the hardest bit is cooking and peeling the beetroot if you use it from fresh! Cook the beetroot by boiling for 10-15 minutes until you can stick a knife in and it is soft. Leave it to cool and then peel with gloves on! A messy job. 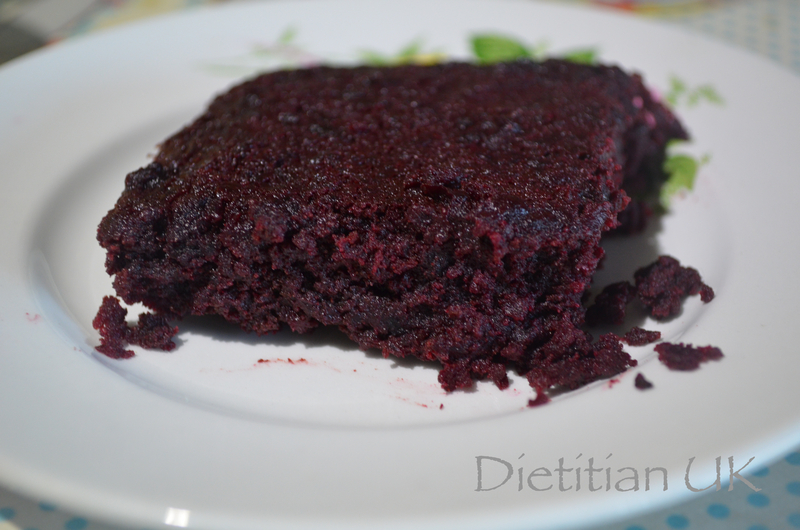 Place the beetroot in a food processor and blit, then place in a sieve and press out any excess fluid, or you will get soggy brownies! Melt the butter and chocolate, I used the microwave, heating for 30 seconds at a time and stirring until it was melted. Now mix the beetroot and chocolate mix together. Beat the eggs and sugar together separately and then add these to the chocolate mix. Finally fold the flour and cocoa into the mixture. Pour into a greased, lined tray.